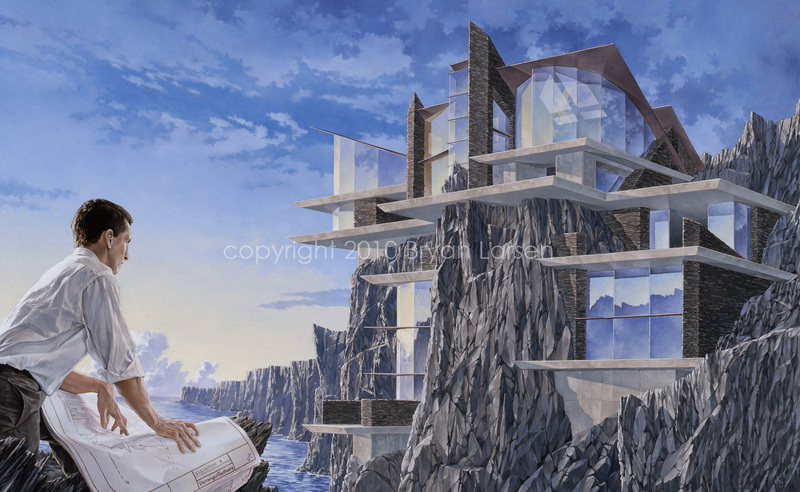 A commission painting of an architect comparing his drawings for a cliffside house to the building itself. Completed in 2008. 55 x 33 inches, oil on linen.